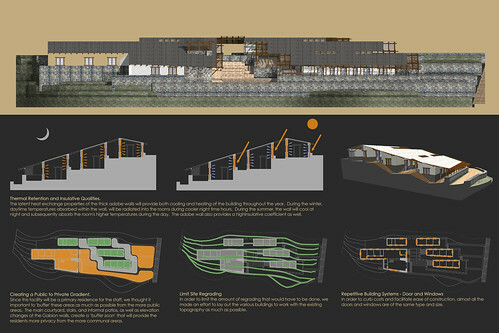 The Final Design: Wikitecture 3.0…. thank you! I just wanted to thank all the contributors on the OAN Nepal Challenge for all their hard work and dedication over the last couple months. 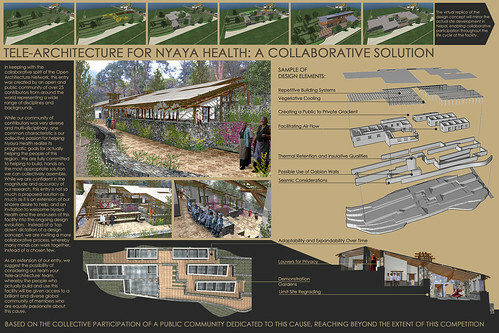 The following images are of the final boards submitted to the OAN project site (larger images here). You can be your own judge, but I think they turned out great! What a far cry from Wikitecture 1.0. Looking forward to Wikitecture 4.0, whatever project that may be. I also wanted to thank everyone for their patience and persistence in working through a very rough and rudimentary technology. Although the ‘Wiki-Tree’ and website have a long way to go to improve upon their usability, the final project is a major testament to the potential of what can result from a more open source approach to architecture. It goes without saying we learned a lot from this last experiment and are excited to further refine the Wikitecture technology to allow for more seamless collaboration on future projects. In this regard, if you have a project you’d like to have designed and developed via this more open, Wikitecture way, please let us know. (ryan [dot] schultz [at] studiowikitecture [dot] com). Having been part of the Studio Wikitecture group for some time, I am confident that the group has enough skill and experience, architectural and otherwise, to tackle any size project that we would have the good fortune to be offered. I’m sure Wikitecture 4.0 will continue to demonstrate what can happen when a loose network of passionate individuals are given the tools to collaborate around an architectural project. Here is a transcript of Friday’s Wikitecture meeting on Friday (link), and here is a slideshow (link). 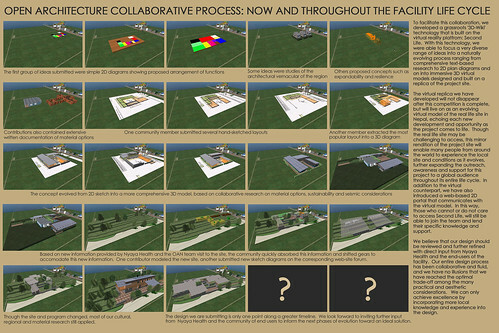 The in-world 3D wiki portion of the open source architecture project is advancing nicely, as is the web forum. 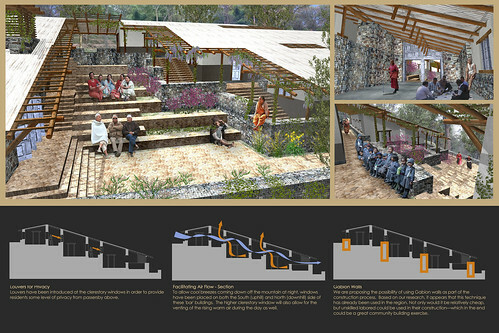 We have collaboratively assembled a significant amount of information and insight about the culture of Nepal, the regional vernacular, local materials, site realities and more. “While we certainly hope this project results in a successful entry in the competition, it is important for us to remember that this is still just an experiment, and the technology will always be evolving. But in the end, I think we have to ask ourselves – ‘What if this works?’ The fact of the matter is – if we can collectively prove that multiple designers can collaborate on 3D design within a wiki-like methodology, that reality holds the potential to completely revolutionize the industry. When you amplify the scale of Wikitecture, it could change the entire way we look at city planning as well. The possibilities are truly limitless. However, I would like to conclude with the following thought. 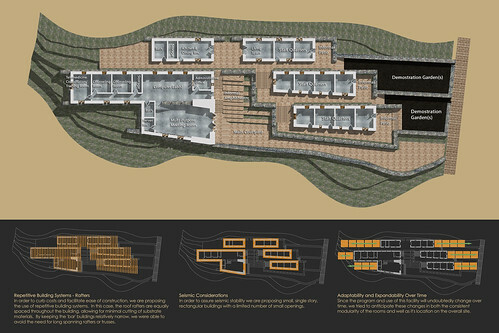 The Wiki-tree technology is only a very small fraction of what Wikitecture really is all about. Just like Wikipedia – it is nothing without a strong community of contributors. Likewise, as you read about the reality of the Open Architecture Challenge we are working on, you start to realize that this isn’t really about winning a competition either. These people need serious help, and I want to be a member of a team that has the best chance at helping these people. As you’ve seen, the first batch of design concepts are truly innovative – and they are just the beginning. 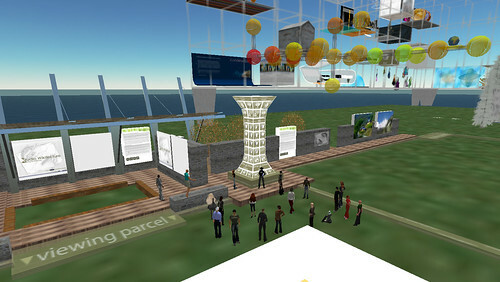 Here are two demonstrations of collaboration in Second Life. The first shows how city planners, urban designers or members of the community might use virtual worlds to describe, discuss and even co-create design concepts. 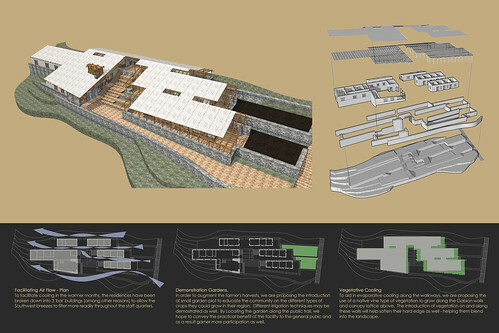 The second shows how multiple contributors can work together simultaneously on an architectural design concept. Of course, it is evident that something is missing in this collaborative process. It is not yet ‘wiki’, insofar as people cannot return to previous iterations, or evaluate the effectiveness of other contributions. Conflicts of opinion cannot be easily resolved, and input from the other contributors must be synchronous. What this means is if all of the contributors are not on site at all times, the design can take on a completely different direction based on extensive work by a single designer without group consensus. Furthermore, there is no easy way to resort to a previous iteration should such a conflict of opinion occur. Commenting on the success or failure of another designer’s contribution is left to synchronous chat, with no easy way to discern the opinion of the entire group at any time. 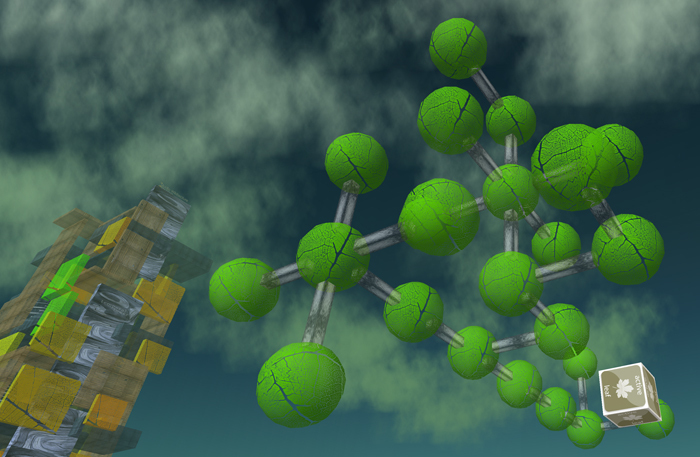 If we really want collaboration in virtual worlds to be more wiki-like, we will need tools. 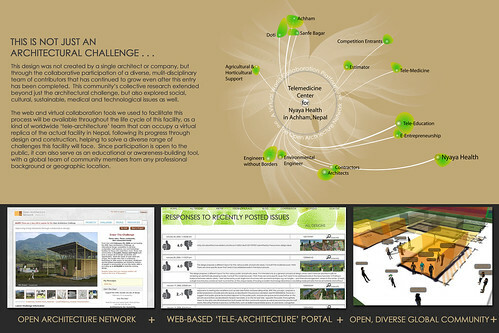 We hope the ‘Wikitecture Tree’ will help us take steps toward realizing an ‘Open Source Architecture’ and will be launching it soon to help the Studio Wikitecture group take on the Open Architecture Challenge. 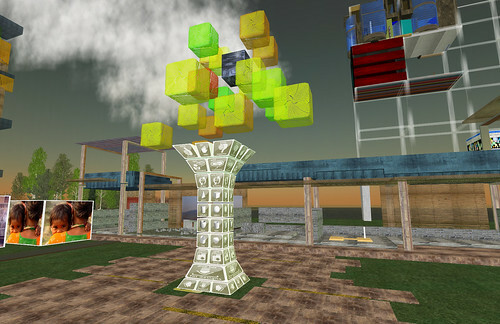 Here’s a brief clip showing one part of the Wikitecture Tree, namely the ‘leaves’. The leaf color is based on its popularity, where orange leaves are least popular, green leaves are more popular, and a ‘trunk’ being the current community favorite – based on an integrated vote tallying system. When a new iteration is submitted to the tree, it automatically creates a new leaf. Contributors will be able to cycle through, vote and comment on each design as they rez on an adjacent platform. A better explanation is on the SW blog HERE. Join the Studio Wikitecture group in SL to partipate in the next experiment! Everyone is welcome.